Coach of the Year honors for the 2009 season. 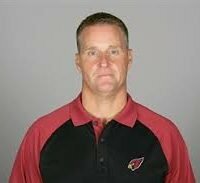 he received his Bachelor of Science degree in kinesiology, health and exercise science in 2000.
was the first NFL Strength & Conditioning Coach to also carry the title of Assistant Head Coach. 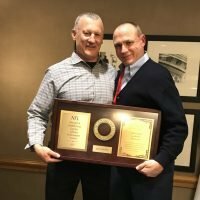 Steve was recognized as the Professional Strength & Conditioning Coach of the Year in 1992.
was formed to expand the scientific foundation and understanding of natural health science. 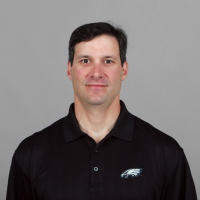 Josh Hingst has been the Eagles’ strength and conditioning coach since 2013. He spent the previous season as the assistant strength and conditioning coach of the Jacksonville Jaguars. 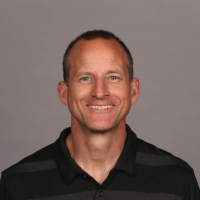 Prior to joining the Jaguars in 2012, Hingst previously spent three years (2009-11) as the director of sports nutrition at Nebraska and also spent the 2008 season with the Atlanta Falcons as the team’s nutritionist. At Nebraska, Hingst directed body composition analysis, nutrition education, performance fueling strategies and counseling for sports supplements and hydration. In addition, he coordinated menus and education at the Nebraska training table and planned meals on the road for various Nebraska teams. He is a registered dietitian and a certified strength and conditioning specialist. Before his stint in Atlanta, Hingst spent five years in strength and conditioning and sports nutrition capacities at Florida State, where he earned his master’s degree in clinical nutrition with an emphasis in sports nutrition. A native of Hooper, NE, Hingst received his bachelor’s degrees in nutritional sciences and dietetics and exercise science from Nebraska in 2001. He also served as an assistant strength and conditioning coach for the Huskers while enrolled as a student. 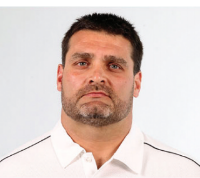 Ted Rath joined the Los Angeles Rams last year as a first time Head Strength & Conditioning Coach in the NFL. Prior to the Rams, he spent eight seasons as an assistant strength coach for the Miami Dolphins (2016) and Detroit Lions (2009-15). Prior to Detroit, Rath was an assistant director of strength and conditioning at his alma mater, Toledo, where he directed the strength and conditioning programs for all 15 of the school’s Olympic sports. He also assisted with all phases of football training, including design and implementation of its workouts. As a graduate assistant at Toledo, Rath designed strength programs for men’s basketball, baseball, track, cross country, golf and swimming. He began his professional career at Crestwood High School (Dearborn Heights, Mich.) where he served as an assistant football coach and directed the school’s speed and strength training. He is certified through the Collegiate Strength and Conditioning Coaches Association (C.S.C.C.A. 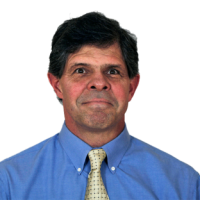 ), has written articles for several industry publications and speaks regularly at conferences and football camps. Jerry Palmieri spent 34 years coaching athletes in strength & conditioning at the collegiate and NFL levels. Beginning his career in 1982, he had tenures at the University of North Carolina, Oklahoma State, Kansas State, and Boston College. 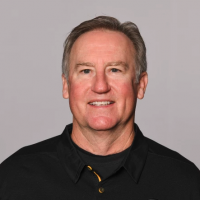 In 1995, he became the first strength & conditioning coach for the Jacksonville Jaguars, spent one year with the New Orleans Saints, and finished the last 12 years of his coaching career with the New York Giants, where he was a part of staffs that won 2 Super Bowl Championships. Palmieri was recognized with Coach of the Year honors by the Professional Strength and Conditioning Coaches Society in 1999, and then again by Samson in 2007. 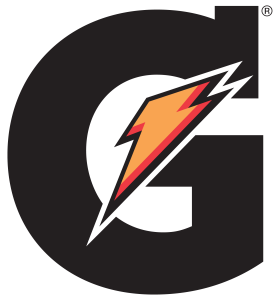 Since 2011, Palmieri has been an integral part of coordinating the activities of the Professional Football Strength and Conditioning Coaches Association, along with providing educational opportunities through Gatorade. Since retiring from the NFL, Jerry volunteers for the Fellowship of Christian Athletes and teaches workshops on 3 Dimensional Coaching. 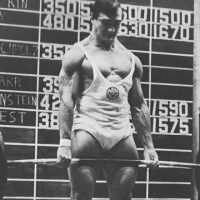 A former Olympian and 1968 Olympic Team Coach, Bill Starr was an original York Barbell pioneer in the 1950’s. He later could be argued as one of the handful of coaches that created the industry now called Strength & Conditioning. A Head Strength & Conditioning Coach at Hawaii, SMU, Maryland, and the Baltimore Colts, as well as Johns Hopkins and countless training halls across the country, Starr left his mark wherever he coached. He was a big proponent of training the Big 3: Power Clean, Squat, and Bench. He pioneered the training article in the old Sport and Health Magazine and continued writing until his death. Some of his articles in MILO continue to set a standard for training modalities. He authored "The Strongest Shall Survive: Strength Training for Football and Defying Gravity." Bill passed away in 2015 at the age of 77. 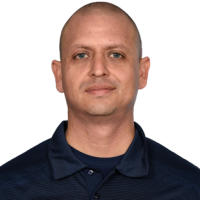 Moses Cabrera began his career with the Patriots in 2011 as Assistant Strength and Conditioning Coach before becoming the Director of the program in 2016. This is Cabrera’s second Super Bowl Championship as he was part of the Patriots staff that won the title in 2014. Prior to joining the Patriots staff, Cabrera was an assistant strength coach for one year at Colorado and six years at Fresno State. At these institutions, Moses implemented training programs for football, basketball, lacrosse, and soccer. 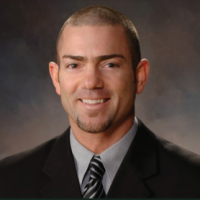 He began his coaching career at Oral Roberts University where he received his Bachelor of Science degree in kinesiology, health and exercise science in 2000. 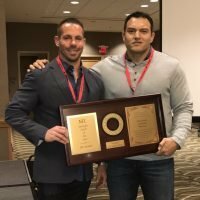 Mike Woicik, recipient of the NFL Strength and Conditioning Coach of the Year Award, is recognized as one of the best in his field. Mike has received this award five times in his career. From 1990-1996, Woicik had a major impact on the structure of the Cowboys strength program and offseason training. By implementing incentives for those who performed well in training sessions, players stayed in Dallas during the offseason and had fewer injuries. 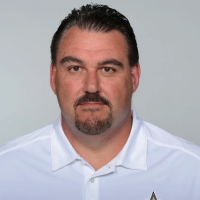 Woicik left the Cowboys in 1997 and spent time with the Saints and Patriots only to return to the Cowboys in 2011. 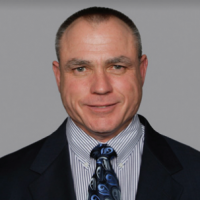 After 26 seasons in the NFL, Woicik has been the Strength & Conditioning Coach with Super Bowl winning teams six times (three with the Cowboys and three with the Patriots). Rusty Jones is considered a pioneer by many in the Strength and Conditioning world. When Rusty began his NFL career of 28 years as the Strength and Conditioning coach for the Buffalo Bills, the NFL was radically different than it is today. 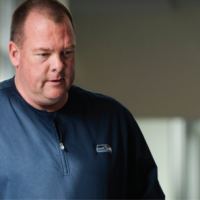 He was the first NFL Strength and Conditioning coach to individualize workout and nutrition programs as well as monitor a player’s nutrition and hydration status. During his time with the Bills, Rusty helped to lead them to four consecutive Super Bowl appearances in the early 1990’s. 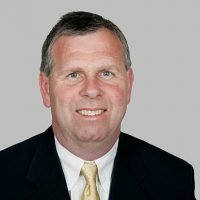 In 2005, Rusty brought his expertise to the Chicago Bears organization where he reversed the Bears ranking of 31st in the NFL for fewest missed games by starters to 9th. In his career he has reached the Super Bowl five times as well as worked with 43 Pro Bowlers and seven Pro Football Hall of Famers. Rusty was recognized by his peers as the NFL Strength Coach of the Year in 2006. From helping Peyton Manning recover from his neck surgeries to getting the Broncos physically primed for the Super Bowl, Luke Richesson has been a driving force behind the Denver Broncos success since he came on board back in 2012 as their Strength and Conditioning Coach. 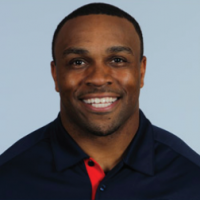 Richesson began his career at his alma mater, the University of Kansas, in 1997 after playing four years of safety and graduating with a Bachelors Degree in Exercise Science. He went on to spend time on the coaching staffs of Wyoming (1998) and Arizona State University (1999-2000). Luke left the college ranks in 2001 and moved on to Athletes’ Performance in Tempe, Arizona. From 2001-08, he implemented programs to help elite college football prospects prepare for the NFL Combine as well as assisting NFL veterans in their training during the offseason. In 2009, he moved on to the NFL with the Jacksonville Jaguars, where he served as the Head Strength and Conditioning Coach for three seasons (2009-11). Joe Kenn has been instrumental in the success of the Panthers since he came aboard in 2011, as well as every stop he has made over his 25+ years. Known as "House" to his players, Joe employs a variety of methods in his program such as strength training, explosive development, high intensity interval training, performance-based nutrition and holistic approaches. Kenn graduated from Wake Forest University, where he was a two-year starter at guard, in 1988 with a Bachelor's Degree in Health and Sport Science. 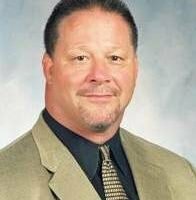 Kenn entered coaching at Pinecrest Preparatory School in Fort Lauderdale, FL, from 1989-90 as strength coach in addition to tutoring the offensive and defensive lines. His college coaching career began in 1991 with Boise State and spanned almost 20 years with the Broncos (1991-1998) and three other colleges: Utah (1999-2000) Arizona State (2001-2007) and Louisville (20082009). 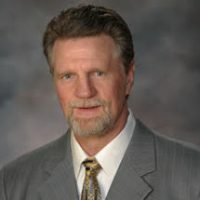 During his time at the collegiate level, Joe took home numerous honors including the NSCA Big West Conference Strength and Conditioning Coach of the Year in 1998, the NSCA Mountain West Conference Strength and Conditioning Coach of the Year in 2000 and the NSCA Collegiate Strength and Conditioning Coach of the Year award in 2002. In 2013, Kenn earned the first-ever Professional Strength and Conditioning Coach of the Year award from the National Strength and Conditioning Association (NSCA) as a member of the Panthers. Al Miller was the Strength Coach for Mississippi State University, Northeast Louisiana University and the University of Alabama under Bear Bryant before moving to the Denver Broncos in 1985 and then to the New York Giants and the Atlanta Falcons before finishing his career with the Oakland Raiders. By the time he retired in 2014, he had completed 23 NFL seasons. Those seasons included coaching four AFC Championship games, two NFC Championship games, four Super Bowls and two Pro Bowls. He was twice recognized by the NFL Strength Coaches. He received the President’s Award in 1993, and then in 1998 he was voted Strength Coach of the Year. Al is also the recipient of the Legend in the Field Award from the CSCCa. 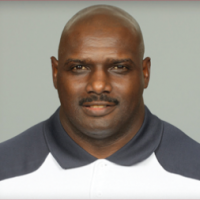 Harold Nash began his career with the Patriots in 2005 as Assistant Strength and Conditioning Coach and Assistant Coordinator of the Patriots Player Development Program. Prior to joining the Patriots staff, Nash attended the University of Southwestern Louisiana where he walked on the football team as a defensive back for four seasons. After graduating, he moved to Canada where he was a defensive back in the Canadian Football League for 11 seasons. Throughout his time in Canada he saw many successes on the field, such as Winnipeg Blue Bombers all-time-leader in pass knockdowns and was selected to the West All-Star Squad. Off the field, he served as assistant to speed Coach Tom Shaw and assisted in preparing defensive backs for the NFL draft. All of his experience has culminated to being the Head Strength and Conditioning Coach for the New England Patriots for the past four seasons and bringing the Patriots to a Super Bowl victory. Dave Redding started his career as a graduate assistant at the University of Nebraska where he had played football. This served as his platform that launched him into a very successful career in the NFL. He has spent 24 seasons in the NFL, beginning as the first Strength and Conditioning Coach for the Cleveland Browns (’82-88). He then continued his work with Kansas City (’89-98), Washington (2001), San Diego (’02-’06) and finally Green Bay until 2011. Redding has received many honors and awards for his work. 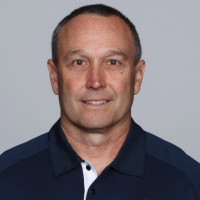 In 2006, he was named NFL’s Strength and Conditioning Coach of the Year following the Chargers' 14-2 season, as well as being inducted into the USA Strength and Conditioning Coaches Hall of Fame in 2006. Chris Carlisle, recipient of the Champions Award, made his move to the NFL in 2010 after nine years at USC as their head Strength and Conditioning Coach. 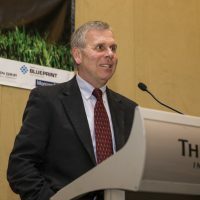 In the beginning of his career, Chris gained much of his knowledge from his mentor, John Stucky, while at the University of Arkansas as a graduate assistant from 1992-93. He was the Associate Head Strength & Conditioning Coach for three years (1998-2000) for the University of Tennessee. In December of 2000, while at Tennessee, Coach Carlisle learned he had Hodgkin’s Disease and immediately began treatments. In February of 2001, Carlisle was hired by USC as their Head Strength and Conditioning Coach. The only person on the Trojans who knew of Chris’ health condition was Head Coach Pete Carroll. After months of treatments, Carlisle beat cancer in the summer of 2001. Carlisle joined the Seahawks in February 2010. There is only one way in Seattle and it is the “Seahawks way”. Carlisle is ambitious and detailed when it comes to making his athletes more efficient through movement and that clearly showed in their Super Bowl victory. 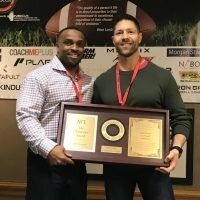 Darren Krein, recipient of the NFL Strength and Conditioning Coach of the Year Award, has been throughout the NFL as a player and as a Strength and Conditioning Coach. Darren was a four-year letterman for the University of Miami as a defensive end (1989-93). After his college career, he was a fifth round draft choice for the San Diego Chargers, then was picked up by the Green Bay Packers in 1995. However, due to a reoccurring knee injury, Darren never saw any game action. Taking his experience from the field, Darren worked with the Seattle Seahawks (1997-98 and 2001-09) and helped develop Pro Bowl Quarterback Matt Hasselbeck. 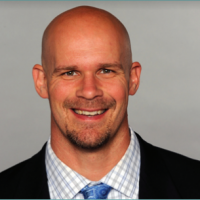 Darren became the head Strength and Conditioning Coach for the Miami Dolphins in 2011 and continues to provide his athletes with the fine balance between doing too much and not doing enough. Johnny Parker was the first Strength and Conditioning coach in the Big Ten at Indiana University in 1977. His career in the NFL began in 1984 when he became the strength and conditioning coach for the New York Giants. Parker's strength and conditioning program undoubtedly helped this team to have what many consider to be the "greatest season ever" in 1986, which resulted in the dramatic Super Bowl win against the Denver Broncos. This win was followed by another Super Bowl win four years later over the Buffalo Bills. Parker also coached for the New England Patriots, assisting Coach Bill Parcells in launching a new era of Patriot football, which resulted in a Super Bowl appearance. He also coached the Tampa Bay Buccaneers, helping the team earn its first Super Bowl championship. Parker ended his career with a three-year stint with the San Francisco 49ers, retiring in 2008. Bob Rogucki, recipient of the Champions Award, is a 38-year coaching veteran with 22 of those years in the NFL. 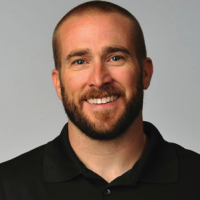 Now, in his fifth year as the Raven’s Head Strength & Conditioning Coach, his philosophy is to direct a training regimen speciﬁc to the game of football involving protocols that build both muscular strength and endurance. Rogucki believes strength and conditioning is the basis of football success and works individually with every player. 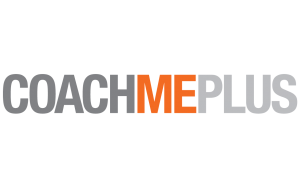 His strength and conditioning program is carefully designed to create player buy in and promote Ravens players' confidence that they can rely on conditioning to anchor their games. The Baltimore Ravens definitively validated Rogucki's philosophy, demonstrating both their skill and endurance during the road to their Super Bowl victory. 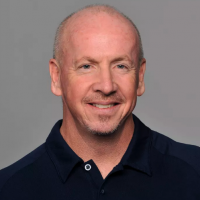 Cedric Smith, the recipient of the NFL Strength Coach of the Year Award has been in the NFL for 19 years as both a player and a coach and is in his third season with the Houston Texans. Smith entered the NFL as a fullback, playing with Arizona, Washington, New Orleans and Minnesota. He finished his NFL player's career with 40 carries for 100 yards (2.5 avg.) with two touchdowns and 20 receptions for 141 yards (7.1 avg.) with two scores. Prior to signing on as the Head Strength & Conditioning Coach with the Texans, Smith coached for Kansas City and the Denver Broncos. Smith has implemented a vigorous off-season program for the Texans that emphasizes strength training and cardiovascular endurance in conjunction with speed and flexibility training, a system that paid off in the Texans’s games this year. The Head Strength and Conditioning Coach for the Giants from 2004-16, Jerry Palmieri is one of the NFL’s most respected conditioning coaches. Prior to his tenure with the Giants, he spent eight years with the Jacksonville Jaguars and one at Boston College, moving with head coach Tom Coughlin. Jerry has been honored as the 2007 Samson’s NFL Strength & Conditioning Coach of the Year and by the Professional Strength and Conditioning Coaches Society as Coach of the Year. Palmieri is also a three-time New Jersey Golden Gloves champion (1976-78) and competed in international competition as a member of the 1978 and 1979 USA Boxing Teams. Mark has been with the Green Bay Packers for 13 years and is in his second year as the Strength and Conditioning Coordinator. (Even his summer internships were in the Packer’s weight room.) 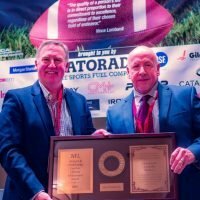 The son of former Green Bay offensive line coach Tom Lovat was honored last year with the Super Bowl Achievement award and has been nominated the Sports Medicine/Rehabilitation Specialist of the Year. An accomplished athlete himself, Lovat earned a Division I baseball scholarship to Butler University in Indianapolis, and received the Helen Tewksbury Award for academic and athletic leadership during the course of his playing career. The efforts of Dalrymple and his staff have played a key role in the New Orleans Saints' success over the past 12 seasons. His routines, focused on building and maintaining strength and stamina while minimizing injuries, have paid dividends for the Saints. Since 2006, New Orleans has put together 13 winning streaks of three games or more, including a franchise-record 13-game win streak in 2009 and eight-game winning streaks in 2011 and 2107. 21 players have been selected to the Pro Bowl during his tenure, 16 for the first time in their careers. 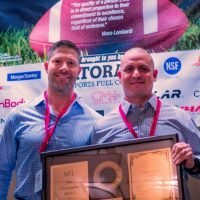 A native of Denton, Texas, Lott has earned a reputation as one of the NFL’s most demanding strength and conditioning coaches, consistently challenging the players with off-the-field preparation both during the season and off-season. 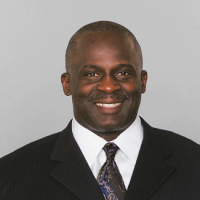 A frequent contributor at the NFL scouting combine in Indianapolis, Lott was recognized in February of 2009 at the combine as the Cybex Professional Strength and Conditioning Coach of the Year by the Professional Football Strength and Conditioning Coaches Society. He was also honored as the 2001 Powermag All-NFL Team Top Strength Coach by Power Magazine. During his first season in Arizona, Lott was responsible for overseeing the redesign of the team’s weight room. The weight room was completely made over during a six-week span at the cost of several hundred thousand dollars to update equipment and the overall look. 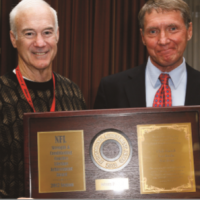 Lott’s programs stress Olympic movements, as well as strength and speed development, and he has also devised strict individual in-season programs to help the players increase their overall stamina and endurance. 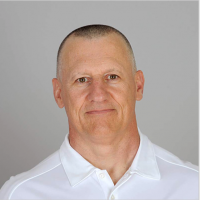 Rock Gullickson was a football coach in the National Football League (NFL) from 2000 until 2016, finishing his career with the Los Angeles Rams as their head strength and conditioning coach. Over his seventeen years of coaching his teams compiled a cumulative record of 113-158-1. Jones was viewed as an important figure in the development of strength and conditioning training in football, making innovations including individualized workout and diet regimens, and an emphasis on the body mass index and hydration monitoring. 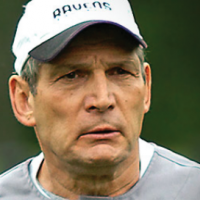 Fuhrman remained with the Steelers during Cowher's full tenure of fifteen seasons. 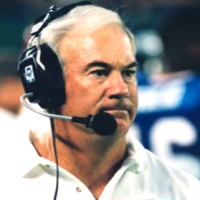 Jerry Simmons was a football coach in the National Football League (NFL) from 1988 until 2010, finishing his career with the Carolina Panthers as their strength and conditioning coach. Over his twenty-three years of coaching his teams compiled a cumulative record of 156-211-1. 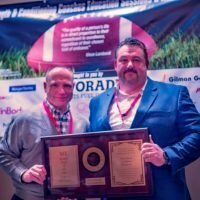 Garrett Matthew Giemont is a strength and conditioning coach who has worked for 30 years at the professional level with several teams in the NFL. Giemont began his career as a training assistant with the Rams in 1970. 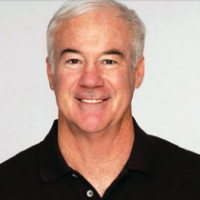 He worked his way up the Rams organization, eventually becoming the team's strength and conditioning coach in 1990. Giemont left the Rams in 1992 to become the director of physical development for Major League Baseball's Chicago Cubs. With the Cubs he helped develop such players as Greg Maddux and Sammy Sosa. Giemont returned to the NFL in 1995, taking a job as the strength coach of the Oakland Raiders. He remained with the Raiders under four head coaches through the 2002 season. In 2002, Giemont was named Coach of the Year by the Professional Football Strength and Conditioning Coaches Society. 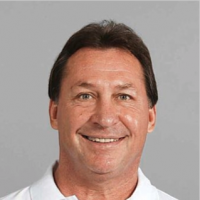 In 2003 Giemont was hired as strength coach of the Tampa Bay Buccaneers, rejoining head coach Jon Gruden, under whom Giemont had coached in Oakland. The Buccaneers let Giemont go in 2006. Mike Tomlin brought Giemont in as the strength and conditioning coordinator for the Pittsburgh Steelers in 2007 shortly after taking over for Bill Cowher as head coach. 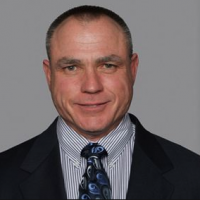 Mike Wolf was a football coach in the National Football League (NFL) from 1992 until 2015, finishing his career with the Cleveland Browns as their assistant strength and conditioning coach. Over his twenty-one years of coaching his teams compiled a cumulative record of 187-147-2. Jeff Friday is a football coach in the National Football League (NFL) working as the assistant strength and conditioning coach for the Cincinnati Bengals. He held this position since 2012. Prior to this role, he started with the Bengals as the team's strength assistant in 2010. Al Miller was a football coach in the National Football League (NFL) from 1985 until 2013, finishing his career with the Oakland Raiders as their strength and conditioning coach. Over his twenty-three years of coaching his teams compiled a cumulative record of 185-180-2. John Gamble was a football coach in the National Football League (NFL) from 1994 until 2012, finishing his career with the Buffalo Bills as their strength and conditioning coach. Over his sixteen years of coaching his teams compiled a cumulative record of 131-125-0. 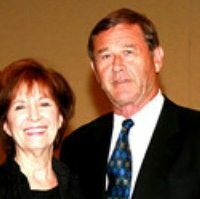 Johnston served as an assistant coach at Northwestern State University from 1979 to 1980, the Northeast Louisiana University from 1980 to 1981, and the University of Alabama from 1983 to 1986. He served as Strength and Conditioning Coach of the Tampa Bay Buccaneers from 1987 to 1991, the Green Bay Packers from 1992 to 1998, and the Seattle Seahawks from 1999 to 2003 before returning to the University of Alabama. Later he was hired as the Strength and Conditioning Coach of the Cleveland Browns. In 1997 while with the Packers he was named Strength and Conditioning Coach of the Year. Tom Zupancic joined the Indianapolis Colts when they moved to the city in 1984. He served as the team’s Strength and Conditioning coach until 1999 when he joined the front office organization as Director of Business Development. Tom has since been promoted to Senior Vice President of Sales and Marketing. Tom is an active ambassador for the Colts. He serves on the boards of the Children’s Bureau, CYO Board, Speedway Exchange Club, Leukemia Society, 21st Century Charter School, Fountain Square Charter School, The GEO Foundation and the Board of Trustees for the University of Indianapolis. In the course of the year, he makes hundreds of appearances, often delivering motivational messages, on behalf of the organization. 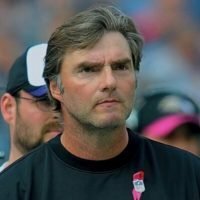 John Dunn was a football coach in the National Football League (NFL) from 1984 until 2011, finishing his career with the Baltimore Ravens as their assistant strength and conditioning coach. Over his twenty-six years of coaching his teams compiled a cumulative record of 228-186-1. Steve Watterson was NFL’s longest-tenured assistant coach with a single club, having joined the Houston Oilers in 1986.